Taking a Facebook friend out of the “friend zone” is about to get a whole lot easier. 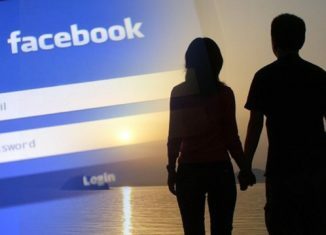 With Facebook’s premise set on connecting people across the globe, it’s not surprising that a dating feature is being brought to the table. However, this feature will not be a stand-alone app, but a feature that will be incorporated into the Facebook application. Match and Tinder may have something to worry about, as stock prices dropped by almost 20% on the day that Facebook dropped the news. However, this feature isn’t portrayed as a typical app to swipe and click through potential dates. Facebook is taking on a more traditional model designed to create long-lasting relationships. Mobile app researcher Jane Manchun Wong shared a bit of what the dating feature will look like. Although Facebook has not actually launched the product yet, said Wong, the company is testing it internally through employees. Facebook has, however, made it clear: the purpose of the test is NOT for dating coworkers! All data from tests will be wiped before any launching is done. Furthermore, screenshots of the sign-up page have been posted. When creating a profile, users will enter their gender, location, and spouse gender interests. Once you’re activated on the Facebook dating world, only others who have the feature turned on will be able to see. If you want that extra level of seclusion, there will even be a feature allowing you to turn off dating visibility to mutual friends. Nothing through the feature will be shared to Newsfeed, so feel free to let loose! You’ll have the opportunity to view those who may be of interest to you, which is determined based on the ample information you feed to Facebook. Those with shared interests can like each other’s profiles and message one another. Facebook is also considering a limit on the number of profiles you will be able to like in order to prevent the prying nature that becomes inevitable for some existing dating apps. Additionally, the company wants you to be able to find others attending the same events as you, in hopes of formulating real-life connections. Nothing is set in stone, as a test of a new idea does not always lead directly into a launch. However, Facebook definitely has people intrigued to see what this new feature holds. It is clear that the goal is not to create an app that leads to hook-ups and one night stands, but instead to create one that formulates something serious and real. The company is hoping to draw a mature crowd that is honestly looking for long-lasting love. Even though this new feature may not be a direct competitor to apps, such as Tinder and Match, it has the capability of becoming a premier tool for online dating.